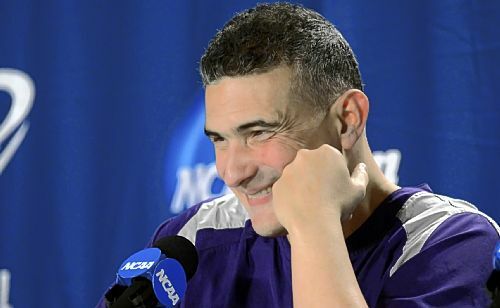 According to ESPN, Kansas State basketball coach Frank Martin confirmed in a text message Monday evening that he accepted the head coaching job at South Carolina. In Manhattan, media members will meet with athletic director John Currie and university president Kirk Schulz at 10 a.m. on Tuesday to discuss the future of the Kansas State basketball program. ESPN reporter Andy Katz said Martin’s salary will increase from around $1.4 million to $2.05 million with his move from the Wildcats to the Gamecocks. Many Kansas State fans blame Martin’s departure on his reportedly strained relationship with the exceedingly detail-oriented Currie. Common belief is that the final straw was Currie’s decision to bench senior Jamar Samuels for the Wildcats’ NCAA tournament game against 1-seed Syracuse. Samuels had reportedly accepted $200 from his former AAU coach Curtis Malone. Martin publicly said he had no part in the decision and that in his opinion Samuels did nothing wrong. Between that public dissent and Martin’s vague responses that essentially equated to non-denials of his interest in South Carolina, this news was not hard to see coming. Frank Martin is not going to South Carolina. Will Spradling has not been released from Kansas State. Much conversation revolved around such speculation on Friday night, but both Martin and Spradling spoke out against the claims that they were leaving. A story by KSN – an NBC affiliate in Wichita – stated Martin was leaving Kansas State to fill the head coaching vacancy of the Gamecocks. The story (and the tweet and link to it by the reporter who wrote it) was taken down after Martin sent a mass text to media members telling them there had been no conversations with other teams. 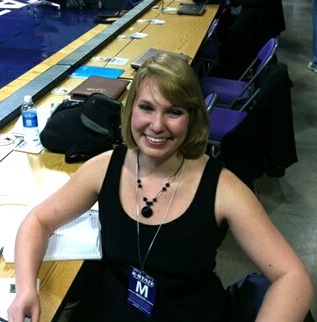 Curtis Kitchen of 610 Sports Radio wrote a story in which “a source” stated that Spradling had requested a release from Kansas State and been granted one. Spradling took to his own Twitter account to set the record straight. All that said, Martin could still go to South Carolina. Spradling could still leave the program. However, according to those individuals, neither is going anywhere at the moment, and to assume otherwise seems premature. It just goes to show you can’t believe everything you read, particularly when it all rests on unnamed sources. Why would you put faith in a story without knowing who is telling it?